BT announced today the launch of BT Assure Threat Intelligence, a new service designed to help organisations anticipate and defend against cyber threats, protecting their assets, customers and employees. From DDoS attacks to hacking and data theft, cyber-crime is growing and cyber criminals continue to become more sophisticated. In fact, according to a recent BT survey 1 of IT decision makers, more than half of respondents (59 per cent) said that DDoS attacks are becoming increasingly effective at subverting their IT security measures and 40 per cent are not convinced that their organisation has a response plan to effectively counter DDoS attacks. Failure to secure an organisation from attack can lead to data loss as well as significant business disruption and costs, reputational damage, legal proceedings and possible fines. 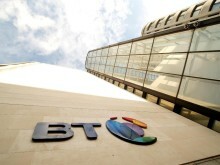 BT Assure Threat Intelligence has been created to provide organisations with round-the-clock global monitoring and assessment of cyber threats to help safeguard their electronic data and protect the interests of their shareholders and customers. It has been designed to minimise risk, enhance security and provide insight into future real and potential cyber threats so they have time to address any vulnerabilities and lower their risk profile. The service provides highly customisable intelligence reporting, meaning threats can be identified early. Organisations can then be proactive and develop measures to mitigate any vulnerabilities before they are exploited. The service also offers remediation advice if vulnerabilities are exploited. “We want to provide our customers with the peace of mind that comes from knowing what to look out for and how to create an effective defence against cyber threats. Timely and accurate cyber intelligence reporting is central to this,” said Mark Hughes, President of BT Security. Customers are also offered a range of pre-defined intelligence reporting options, along with tailored solutions to meet their specific needs of their organisation. The bespoke options include a face-to-face workshop to identify at risk assets, any additional intelligence requirements, advice on how to efficiently deploy resources and new technologies to meet current and developing threat vectors, plus the defining of processes around how the intelligence is used and shared internally. BT Assure’s wide range of strategic partnerships with world-class organisations means it has an optimum intelligence gathering network. This includes nearly 2,000 security practitioners and professional service consultants world-wide. It is therefore also able to build a full picture of threats, analysing data in 14 follow-the-sun security operations centres. 1 BT research carried out during May 2014 to explore attitudes and levels of preparedness towards distributed denial of service (DDoS) attacks. The Research was based on 640 interviews with IT decision-makers in large organisations (1000 plus employees) across eleven countries – UK, France, Germany, USA, Spain, Brazil, Middle East, Hong Kong, Singapore, South Africa and Australia – and in a range of sectors -including finance, retail and public sector. The research was carried out by Vanson Bourne on behalf of BT. The sophistication of our security operations means that we think about the assets, the people, and the processes, and combine these with both network and security intelligence to help our customers stay ahead of the security risks. BT Security protects both BT and its customers. These customers are advised by a global team of 1,300 security practitioners, 600 global security specialists and a professional services team of approximately 4,000.